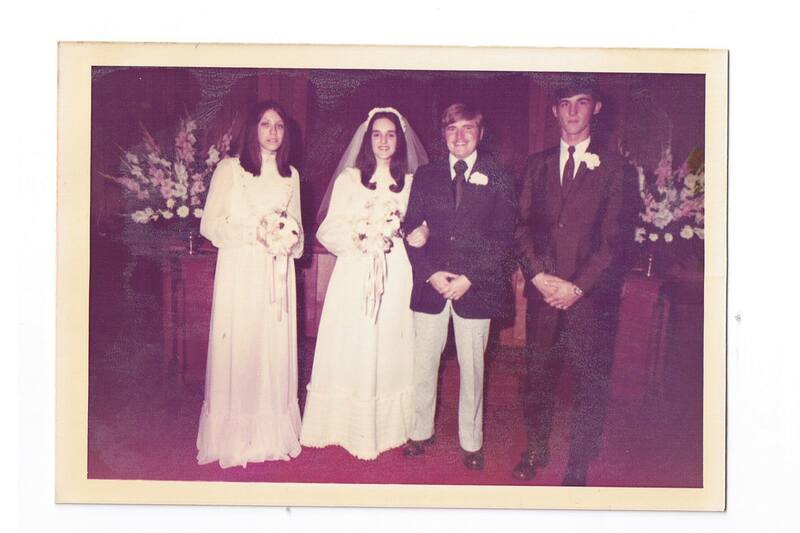 Way back on March 31, 1973, my sister and her boyfriend were married. Bill Rister was just beginning to try his hand at picture-taking, so he was pressed into service for the photos. 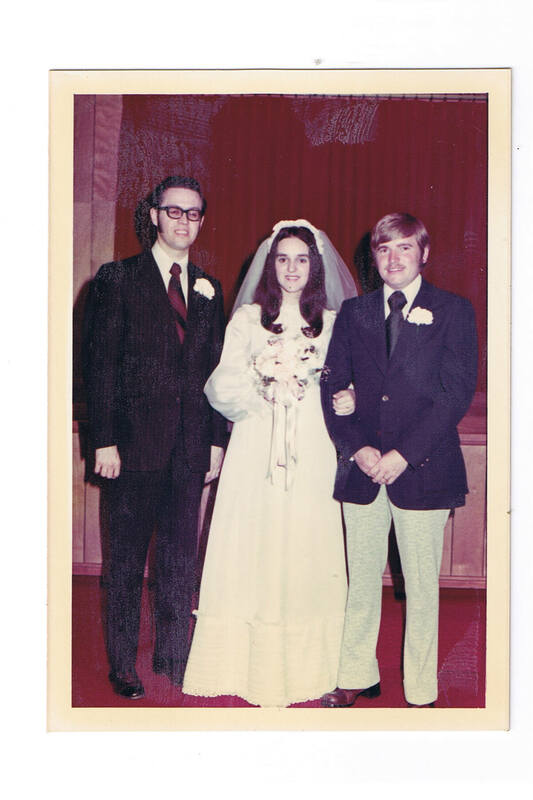 It was a hard-earned wedding since Mom and Dad weren’t particularly fond of Dave. He had long hair and played in a band and lived in Jane Strong’s basement. It must have helped that he cut his hair. Jack Hall was the minister. 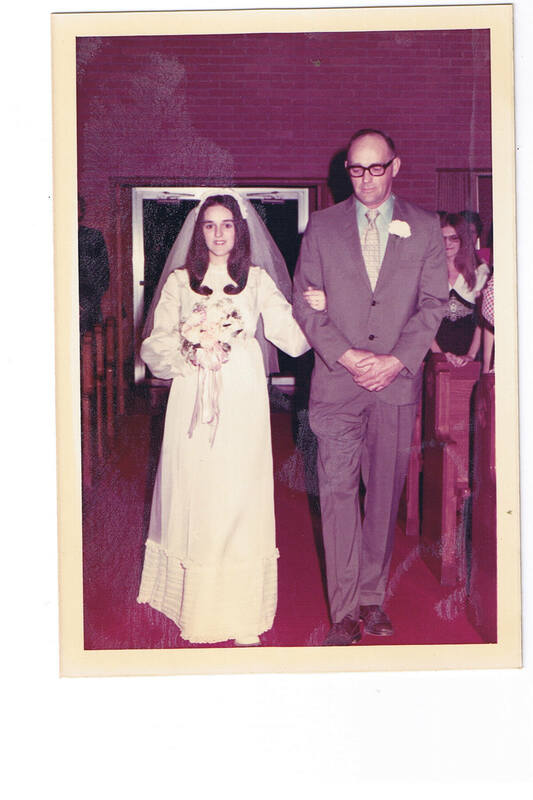 It was March 31, 1973. I was a senior in high school. The Monday morning that followed that weekend I found myself in Geography class being called on to write my name on the blackboard as an example for some illustration. I didn’t write Darla Rutherford (who I had been for the past 17 years) I wrote Darla Martin. 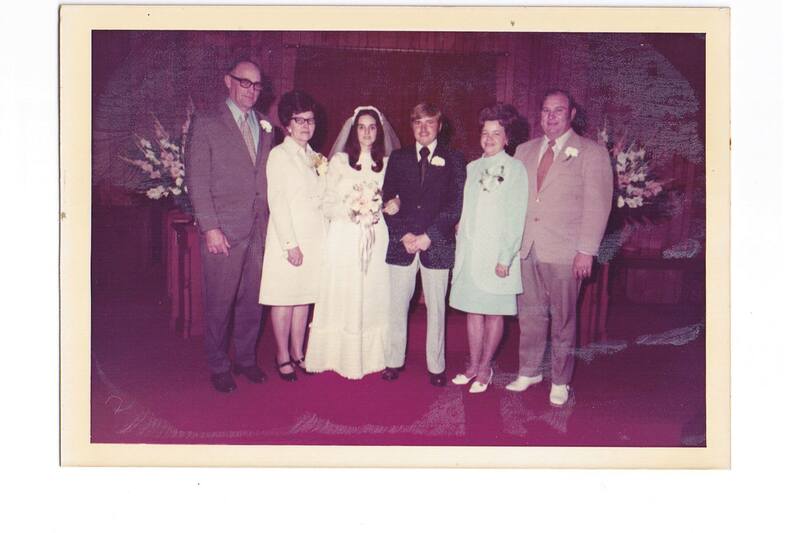 I had gotten married that weekend at the First Baptist Church in Shawneetown. Some memorable things I will never forget: My colors were centered around my best friend’s prom dress that she was going to wear for the bridesmaid dress, my wedding dress was rented, my cake was bought at the IGA bakery, and the person that was supposed to sing cancelled at the last minute and the piano player sang “Color My World”. (As I’m writing this…I’m wondering where my sister was…that is a mystery to me). 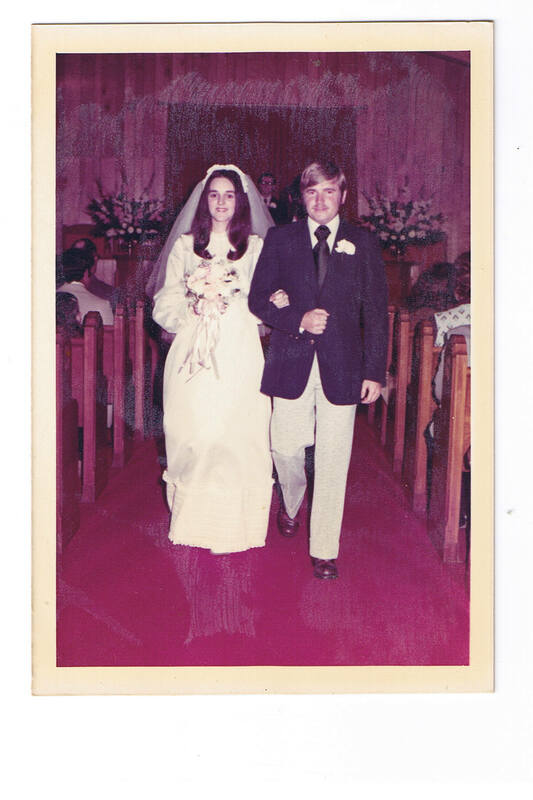 Now, 39 years later….I love this man more than I did the day I married him. He loves Jesus, loves his wife, and loves his family. 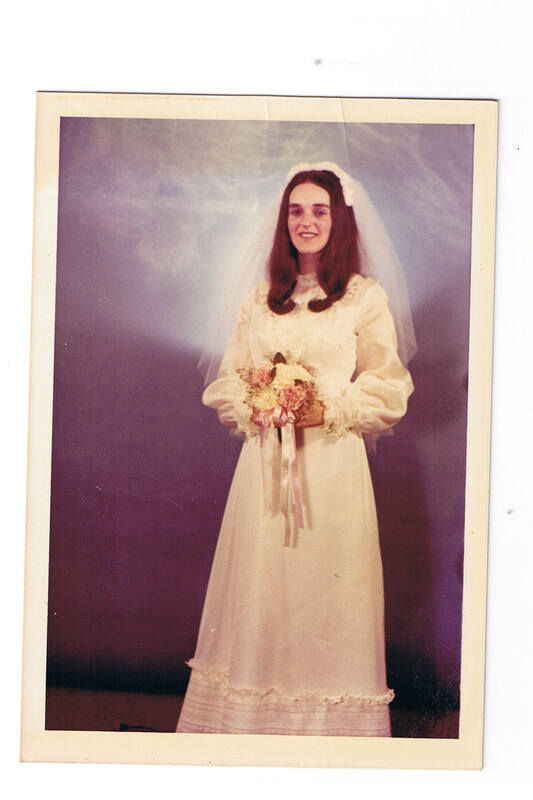 Nancy Strong was Darla’s best friend… and this is her prom/wedding dress. 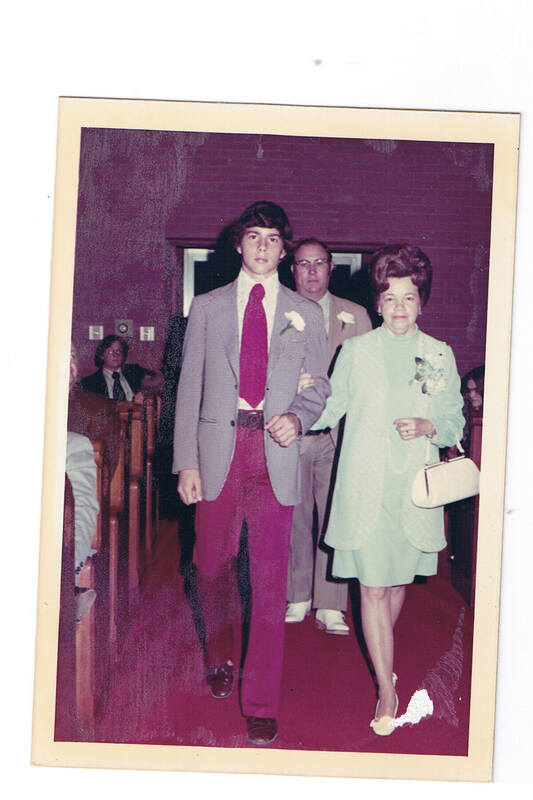 My Mom was escorted down the aisle by Dave’s friend, Dennis. 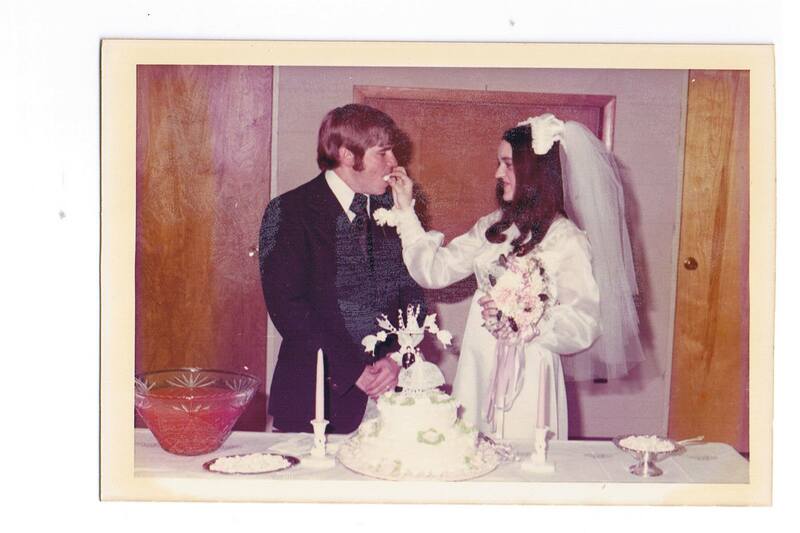 As I look at these pictures, I realize my Mom was 53 and my Dad was just 49. 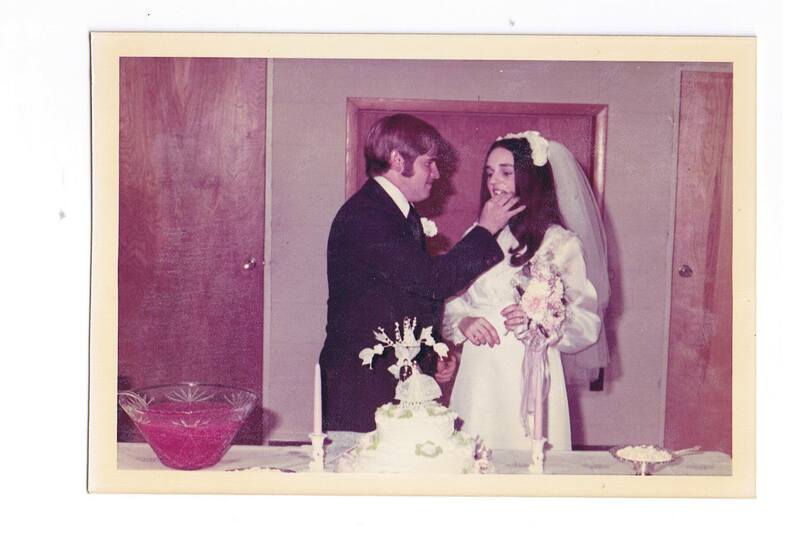 These pics have been in a small album, that is now falling apart at the seams, since 1973. Some of the pictures tore as I was trying to remove them. You can see the ghost-like discoloration on them. The very next month my daughter, Keely, was born, so I was very pregnant at this time. It’s not like me to keep a low profile no matter how huge I would have been, so I can only surmise that Darla did not want the bulging belly being seen!! But I looked very spiffy in my maternity dress with my hair all curled. Yes, Darla, I was there. I love the pictures of Dave and Darla feeding each other cake. They look so prim and proper! I can't get over how little that cake looks! This was such a fun read! I remember this era well. I was 7 years old then. I remember Darla looking like that and I remember Nancy Strong and her straight hair. I even remember Dennis. Thanks for the walk down memory lane! 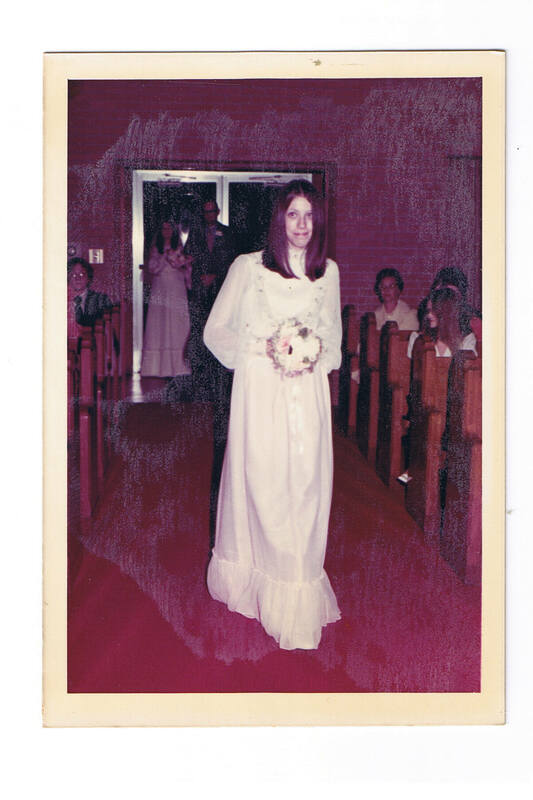 Wow Brenda………what memories that brought back!Almost made me cry.I noticed Mom in the back rt. pew……..and my ex. 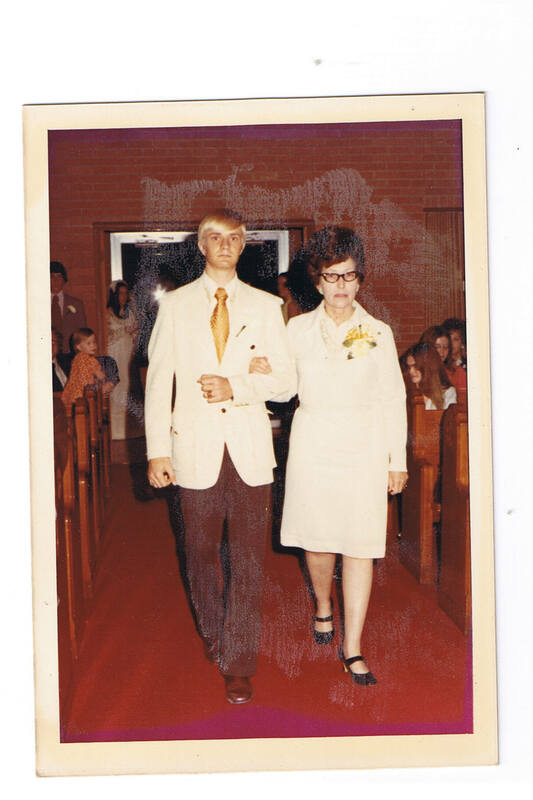 in the back left….ha.Mom always had a soft spot for David.I really miss you and Darla. So,after you married, did you live in the basement with Dave? LOL I remember all this so well. Congratulations on making it work and grow! With Jesus as your guide, you can do anything!